Pam and I started Solid Rock Stables as a labor of love in 2004. 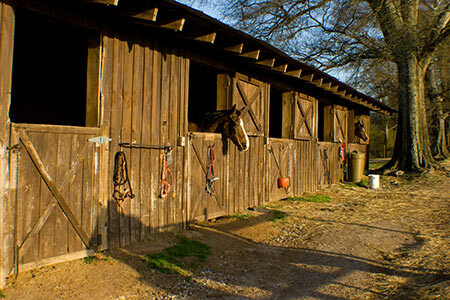 We wanted to use our beautiful farm land to its highest and best purpose…horses. It started with a dream, sparked by Pam’s love for horses and her passion to care for them. She also had a desire to help others develop the skills and confidence needed to pursue their goals, whatever they may be. Pam is always working, planning, thinking of, or talking about horses! It really is her passion. I grew up on the land that Solid Rock Stables is located on. My family owned and operated Riddle Dairy for many years. Pam and I have been fortunate enough to purchase a portion of the farm over a period of time. We now own 158 acres of the original 575 acre farm. We also lease an additional 50 acres. We take the responsibility of land ownership very seriously. In 2009, we purchased the hay equipment necessary to cut and bale hay to meet our needs at Solid Rock. We work hard to produce the best quality hay that we can so that we aren’t dependent on outside sources and also in an effort to keep our prices reasonable by keeping our costs down. Our four sons Chas, Cole, Caleb, and Christopher all helped build Solid Rock. They all got really good at digging and packing fence posts. Their growing families live in the area and are active in and around the farm. Our grandchildren are abundant and are the joy of our lives. 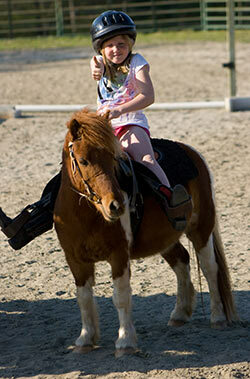 They can often be seen at Solid Rock riding horses or tractors or running and playing. We love it! God has blessed us more than we could have hoped, dreamed, or imagined with family, health, and friends including our Solid Rock family. It is and continues to be our desire to use what God has given us to His glory.